It’s right around the corner—my favorite holiday, that is. Easter is nearly upon us! And with it, (hopefully) the transitioning from winter into spring. In my excitement for this seasonal revival, I’ve been sketching some fun little bunnies and floral elements. 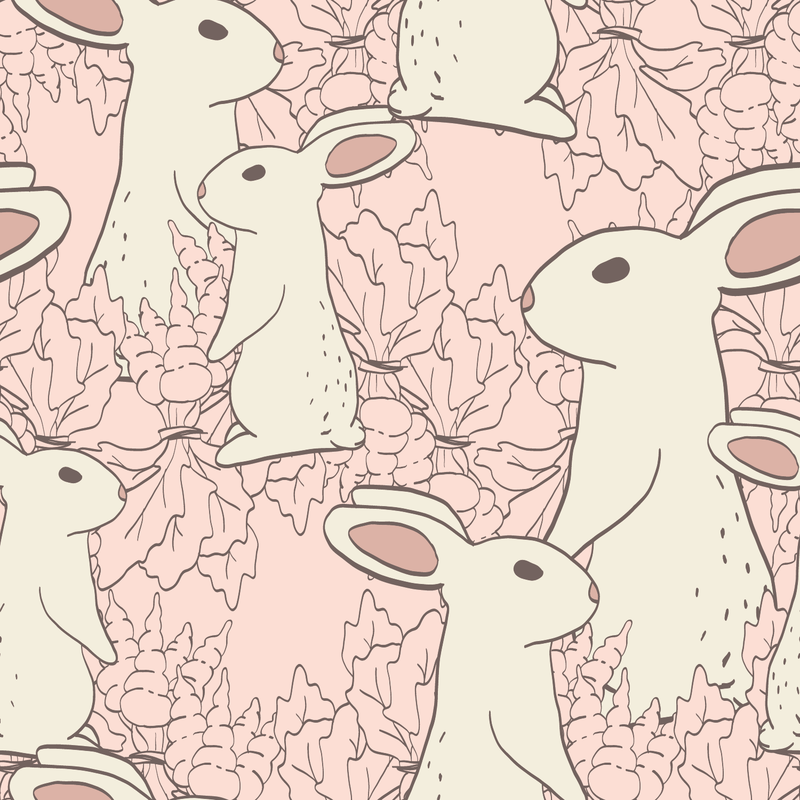 I took my doodles a couple steps further this time, and today I’m sharing some super cute Easter seamless patterns with all of you. I’ve been having such a fun time making patterns lately! From the New Orlean’s Square inspired patterns I shared last month to the intricate patterns I made as part of my peacock, swan, and hummingbird collections, I’ve just been on a pattern kick. Long story short, I kept thinking about this, and soon discovered Spoonflower. 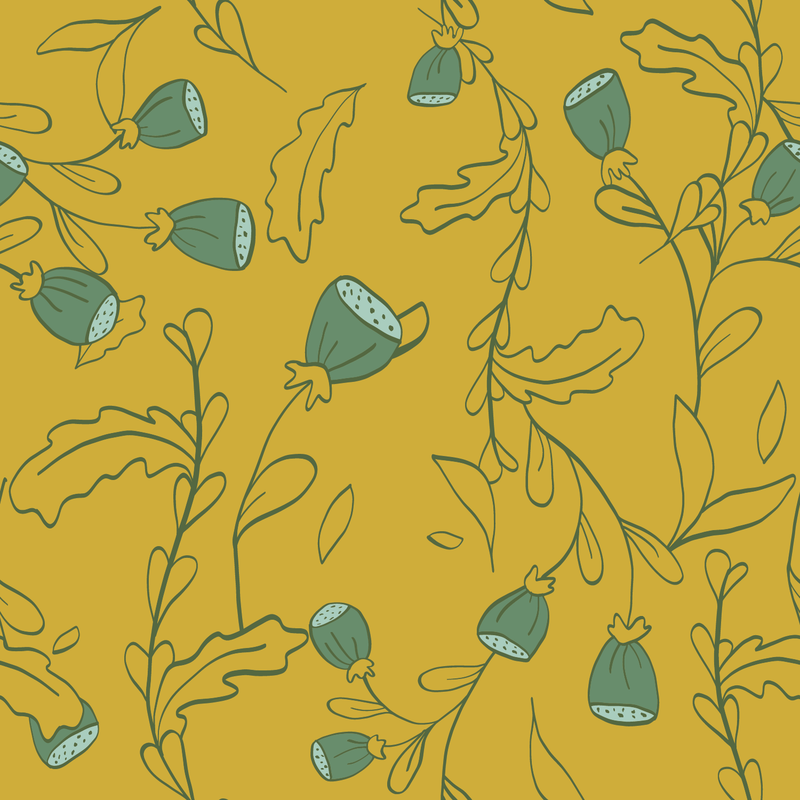 Not only can you upload your own designs to Spoonflower, but you can choose the material too! They have a ton of different fabric options along with wallpaper and even gift wrap. (I bet you can see where this is going). 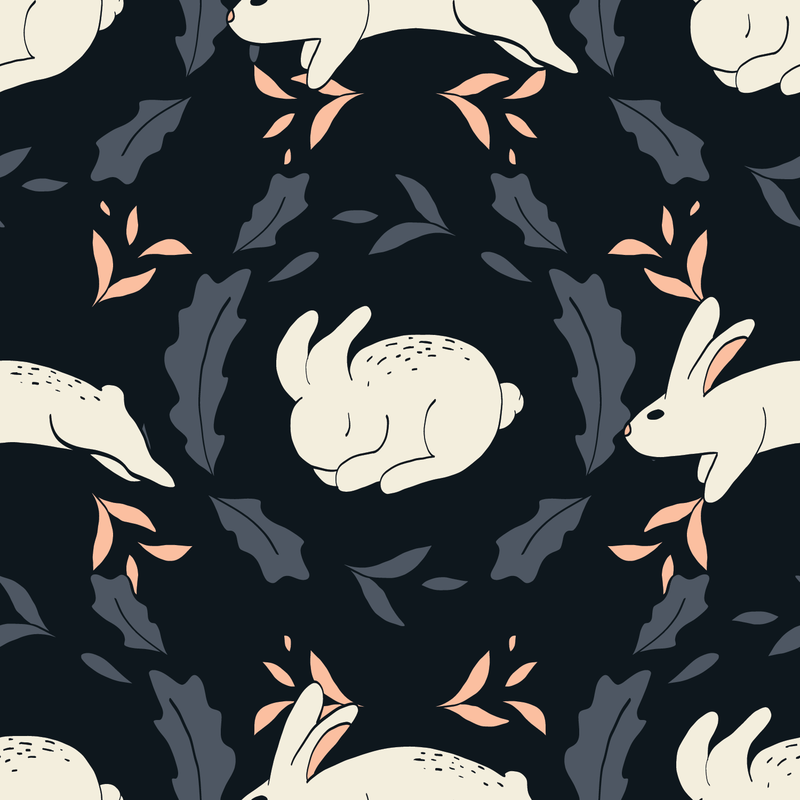 So, I’ve opened up my little “shop” on Spoonflower, and am happy to tell you that you can actually purchase these patterns as fabric if you’d like to! I’m kind of in a trial stage with this whole thing, so I don’t have most of my patterns up yet. So, if there is another pattern on my site that you’d like to see available, let me know! I think the sleepy bunny pattern has to be my favorite of this collection! I already love bunnies, but sleeping all curled up like that just melts my heart! Plus, I really like how the colors turned out. 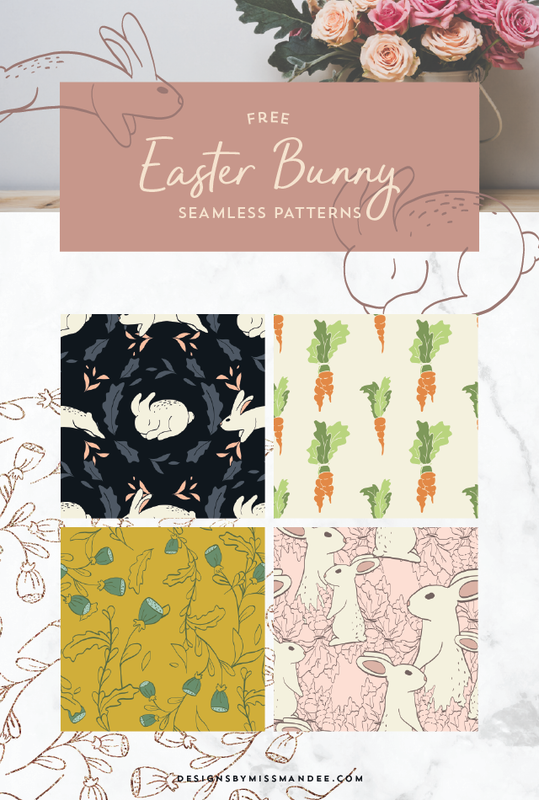 Have fun implementing these Easter seamless patterns at home—making printables, digital wallpaper, or scrapbooking—or enjoy using the fabric to make a cute Easter dress! Which design is your favorite of the bunch? Purchase fabric, wallpaper, or gift wrap with these patterns here! 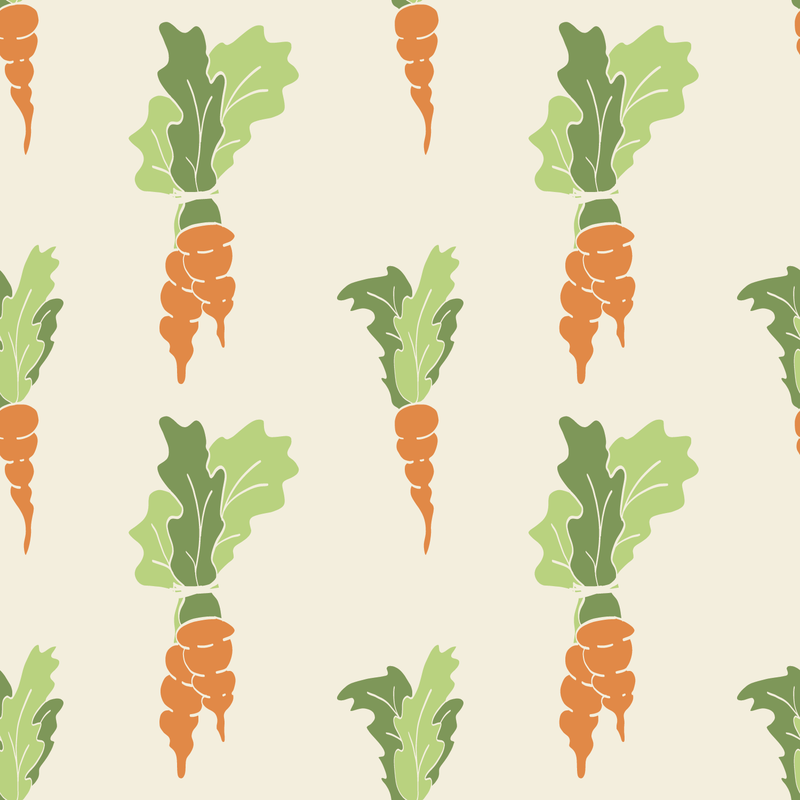 These are adorable and I’m very excited to go look and see what you put up at Spoonflower. Love the variety of fabric types you can get there!